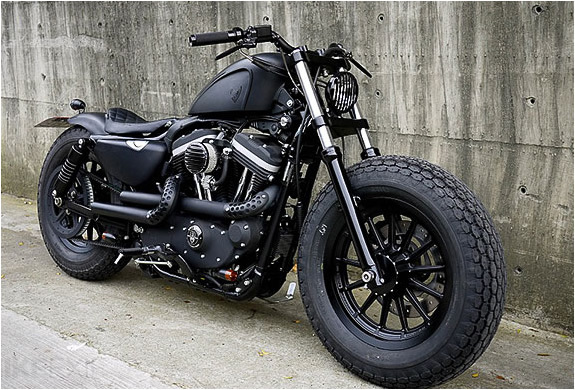 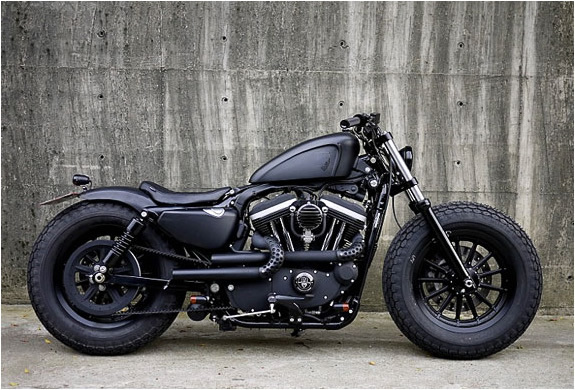 This beauty is by custom bike builders in Taiwan called Roucgh Crafts, they named it Iron Guerilla, it was originaly a 2009 Harley-Davidson Sportster Iron 883. 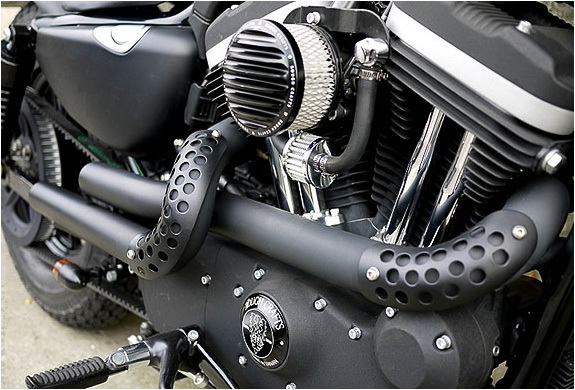 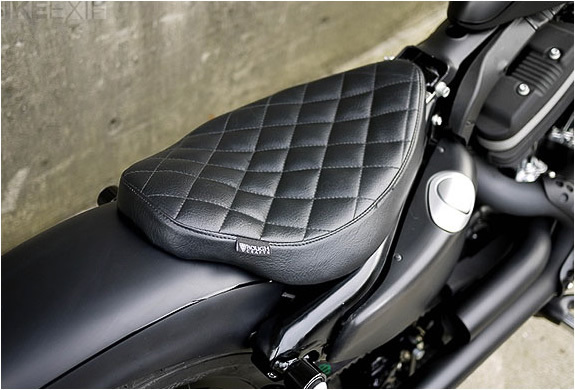 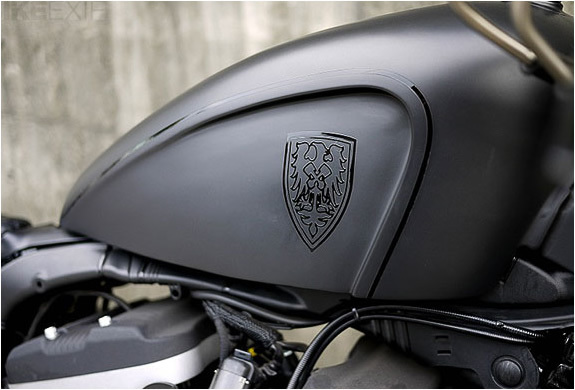 The bike takes Harley’s Nightster theme a step further, with a chopped front end, new bars, bodywork and lighting—and a terrific exhaust system that adds to the compact, muscular vibe. 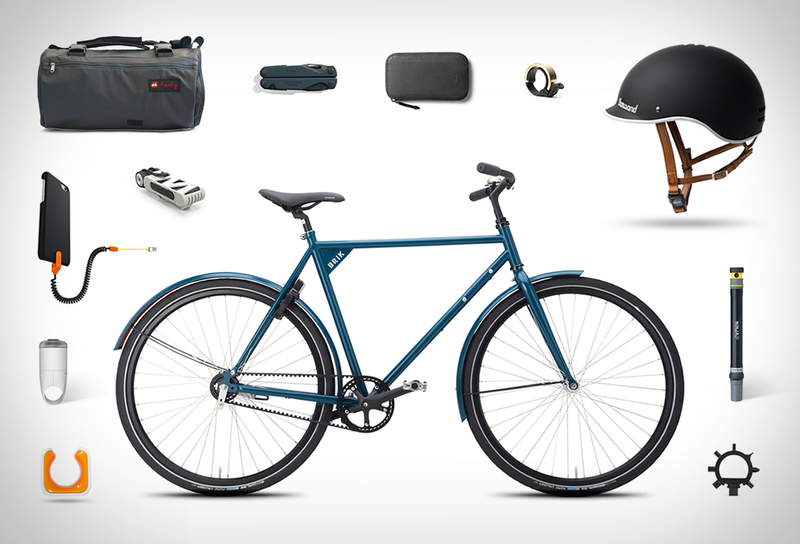 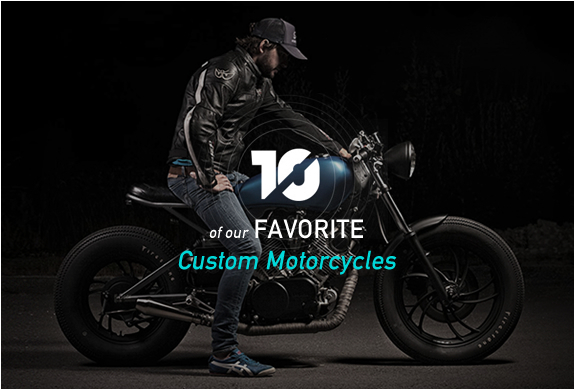 Check out their blog for other custom bikes.